Today, we offer a complete range of specially formulated skincare to best address the changes in the delicate skin of new-borns, babies, children, and women who are mothers-to-be or new mothers. To ensure that changing your baby's diaper remains an enjoyable moment, Mustela's new 123 Vitamin barrier cream can be applied and removed off very easily. Use it with wipes for an easy diaper change. 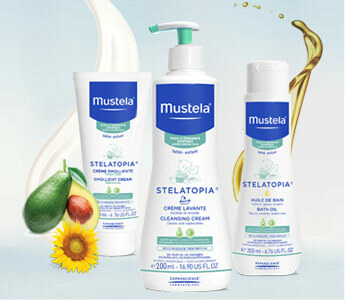 In order to preserve the unique cellular wealth of babies' skin, Mustela has extracted a natural biomimetic active ingredient from avocado which works in perfect affinity with skin, for optimum efficacy and tolerance: Avocado perseose®. 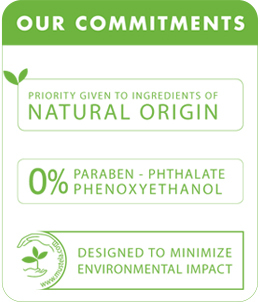 It aids the development of the skin's barrier function, stepping up production of a number of its key elements and preserves its wealth of cells, functioning as a shield and protecting the cutaneous cells from the outside environment.